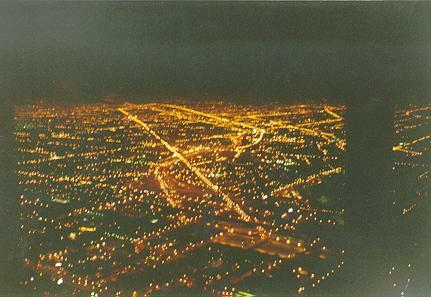 On Saturday, March 1, 1997, Scott, Scot, Beth, and I went to Chicago for the day. We left at seven in the morning. We took my car. We went to downtown Chicago first. We went to the John Hancock lounge on the 96th floor until we got kicked out, then to Victoria's Secret and a bookstore on Michagan Avenue. We ate at McDonalds and Subway, then we went to the Museum of Science and Industry until 5 pm. 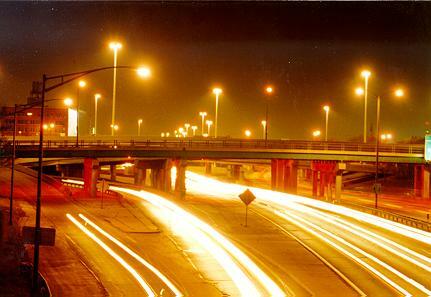 Then we drove to Gary via the Chicago Skyway, and around up to I-94 until we got back to downtown. We parked by the Sears tower, and then went up there. It was about seven pm. The view was incredible. Here are only a few of the views we got. Then we went to a casino in Elgin, but Illinios is stupid, and you have to be 21 to get into any casinos. So we ate at a mom and pop's pizza place there and left for home. We got back to Platteville at about 2 AM. 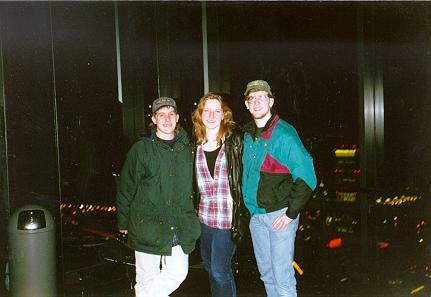 Above is a picture of Scot, Beth, and I in the Sears Tower. 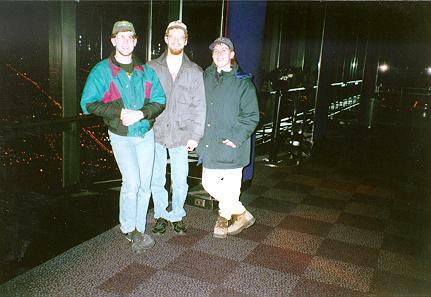 This is a picture of me, Scott, and Scot in the Sears Tower and a time exposure of the loop. 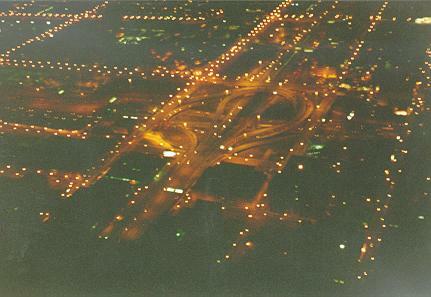 This is a picture of the loop and one of Chicago facing west, both from the Sears. This is chicago facing N-NW. 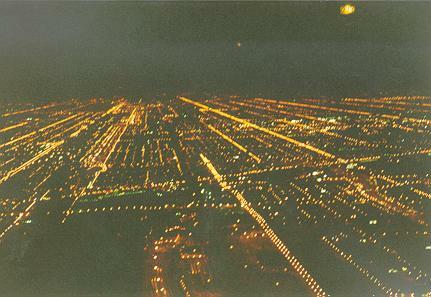 The line of lights that curves is the Kennedy Expressway.